MeeGo is less than a year old. KDE, by contrast, has 14 years of experience in building the Linux desktop. Even with the backing of the world's largest mobile phone and processor vendors, it takes a bold man to turn up at Akademy, KDE's annual global conference, and announce that MeeGo is "redefining the Linux desktop landscape". Valtteri Halla, Nokia's director of MeeGo software, is such a man. He not only set out his vision for how MeeGo will take over the world, but invited KDE along for the ride. 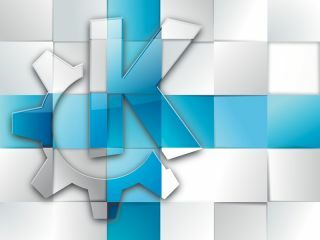 Akademy begins with a two-day conference showcasing the latest advances in KDE technology, news from the community and the views of speakers from outside that group, such as Halla. The conference is then followed by five days of meetings, workshops, hacking sessions and networking, during which consensus for the year ahead is reached and problems spanning more than one of KDE's teams get solved as contributors meet face to face in the same time zone. This year's conference had two main themes: extending use of KDE software beyond Linux on desktop computers, and connecting users and data through social networking and cloud computing. With the recent advances of Google's Android operating system in the smartphone marketplace and the merger of Nokia's Maemo with Intel's Moblin projects to create the MeeGo operating system, these are exciting times for free software beyond the desktop. The success of services such as Google Documents, Dropbox, Facebook, Twitter and the buzz around Google's upcoming Chrome OS has also focused the KDE community on greater interaction with, and control over, online services. KDE has had mobile devices as a target ever since planning began for KDE 4.0. Having Valtteri Halla present, along with other Nokia and Intel representatives with an interest in MeeGo, provided a great opportunity for KDE to show off its existing mobile technologies, present its plans for the future and share experiences. MeeGo's policy of working with and contributing to upstream projects has already worked well for KDE. Nokia has adapted KDE's KOffice applications to make a mobile office viewer application, fixing bugs in KOffice and improving its handling of Microsoft's document formats at the same time, while also saving Nokia the time and expense of developing a solution from scratch. Some key KDE teams presented their work on porting applications to mobile devices. Till Adam, from the KDE Personal Information Management team, explained how the port of the communication suite Kontact is going. Adam already uses Kontact on his own phone, although some optimisations are needed before it's ready for general use. The main challenges for Kontact are adapting the interface to small screens, reducing processor and memory demands, and minimising network traffic. The ultimate goal is to go far beyond the capabilities of currently available mobile mail clients; Adam believes that users will do more with their phones if the negative effects on battery life can be alleviated. The team behind Marble, KDE's desktop globe, have also been busy. With the release of KDE 4.5, Marble will include advanced location search using OpenStreetMap data, enabling the user to find and zoom to a particular street by typing its address. Marble is also gaining route planning capabilities, showing a route between points on a map and providing step-by-step instructions. Combined with GPS location awareness, this will make Marble a complete free software navigation system. The remaining feature to implement is having the map follow the user's current position, and this is currently under development as part of a Google Summer of Code project. The Marble developers have also been working on making Marble mobile. It already works on Linux, Mac OS X, Windows and MeeGo. It's in an experimental state on Maemo 5 and work is ongoing on Symbian. With mobile use cases in mind, Marble's developers have implemented the ability to download OpenStreetMap data for later use, so that maps are still available in high resolution when an internet connection is unavailable or expensive. It's not only KDE's applications that are going mobile. A new workspace, Plasma Mobile, is being developed for use on smartphones. Artur Duque de Souza and Alexis Menard presented its state so far. Although some experimental work on making a KDE interface for phones began late in 2009, the Plasma Mobile project officially launched in February. Plasma Mobile aims to have greater location and context awareness in the interface. For example, games will not be on the main screen while a user is walking, and social networking can be disabled during the working day to avoid distractions. This could help to eliminate the large grid-style menus found on many phones, replacing them with an initial view of just a few of the most relevant applications. Plasma Mobile is heavily based on widgets to provide easy tracking of news feeds, incoming messages, weather, travel information and more. The widgets will adapt to the device on which they're run, so they can increase or decrease in size according to screen size and resolution. Artur and Alexis were able to show a quick demonstration running on top of Maemo 5, although a MeeGo port is also underway. Plasma, like MeeGo, is intended to run everywhere and so the lead architects of two more new Plasma workspaces also gave presentations. Marco Martin gave an overview of the current state of Plasma Netbook for mobile internet devices. Plasma Netbook debuted with KDE 4.4 and will be receiving stabilisation and polish in KDE 4.5, with smoother animations and more caching of the data used by widgets to reduce processing and network demands.